Amazon API Gateway partners provide tools and services to help customers create, publish, maintain, monitor, and secure their APIs at any scale. 3scale makes it easy to open, secure, manage, distribute, control, and monetize APIs. A self-serve API Management Platform, 3scale is built with performance, customer control and excellent time-to-value in mind. Powering more than 600 customer APIs, 3scale enables distribution of company data, content or services to multiple devices or mobile/Web applications - and makes it easy to productize APIs. No other solution gives API providers so much power, ease and flexibility in such a cost effective way. 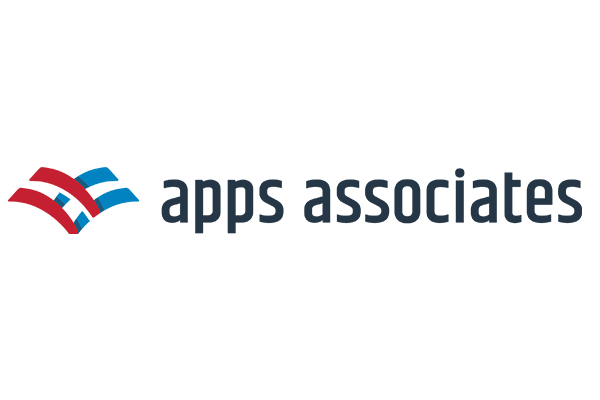 Apps Associates’ Cloud Services Practice includes service offerings in Application/Database/Data Center Migration & Hosting, Application Modernization, Big Data / IoT and Managed Services (MSP 3.0). These services are an extension of the firm’s consulting service portfolio and competencies in enterprise applications, analytics, infrastructure & application managed services, application custom development. AWS services such as API Gateway are integral to the business plan and growth strategy of Apps Associates and our Cloud Services practice as a foundation to support the Business Transformation initiatives and evolution of our clients. We design and deliver elegant, reliable and long-lasting technology solutions. From cloud-architects, to program managers and developers - we attract and cultivate the best technologists in the industry. Using Open Source foundations, Cedrus’ team of designers, architects, developers and, DevOps SMEs build and integrate Cloud Native applications that run on AWS-based environments with security at the forefront. We use API Gateway as a core service in our Serverless Practice, whenever we are 'calling' data from another service such as Lambda, DynamoDB or SNS. HATech have worked and implemented many AWS API GW projects. In fact, HATech use AWS API GW along with AWS Lambda for nearly all SaaS offerings including our very own distributed Key/Value store we use to store service end points and configuration data. AWS API GW can be a little different to other API GW's such as WSO2 and Tyk. With extensive experience in the AWS API and Serverless marketplace, HATech can design an AWS API GW solution to meet the needs or our customer's businesses integrations. From REST based decoupled applications through to Mobile app development for iOS and Android, we welcome all opportunity to discuss our customer's needs. iOLAP's focus on the Modern Data Platform allows it to quickly and effectively create business vale from an increasing volume, velocity, and variety of data assets. We have a passion for creating solutions that de-risk innovation, deliver repeatable frameworks, and unlock the power of data assets. Mobiquity builds custom software for clients across verticals, with mobile, IoT, and Alexa voice applications at the core of what we deliver. We have standardized custom software builds on AWS. These always require governing and controlling access via a gateway to control and externalize services to client endpoints. We routinely build API Gateway into our clients’ infrastructure so that we have a common set of business logic that can be used for securely connecting multiple digital engagement channels. We use API Gateway in tandem with AWS Cognito and IAM to ensure that our solutions can handle both authenticated and unauthenticated users. REAN Cloud’s DevOps expertise, as evidenced by our APN DevOps Competency, gives you the tools to develop a continuous integration, continuous delivery (CI|CD) workflow pipeline for easy development, testing and operations. Our AWS certified DevOps engineers and Professional Solution Architects help you construct the right CI|CD pipeline for your needs. Take advantage of this unique offering of AWS and DevOps expertise and accelerate your development, integration, testing and validation workflows. REAN Cloud is leveraging Amazon API Gateway functions as core tenant of our microservices based deployments and next-generation architectures. We help clients design and build microservices using Amazon API Gateway. We develop AWS Lambda functions which either are behind AWS API Gateway or serve as activity workers for Simple Workflow Service. Stelligent supports its customers by implementing the automation that allows for the testing, deployment and configuration of AWS resources and customer applications. An integral capability of any well architected solutions is scalable implementations based on abstract services where possible. API Gateway provides a framework for the delivery of microservices through abstract services, and is key to monolith to microservices re-architecture efforts. Trek10 has been using API Gateway almost exclusively as an HTTP endpoint for Lambda functions since its release. We’ve also found great success leveraging API Gateway as a proxy for AWS system management. For example, as a best practice, delivering a secure endpoint to update a CloudFormation stack, and conjuring a Lambda function’s IAM with the necessary update permissions is recommended over providing a customer with an API and long-lived access key with update permissions. We integrate API Gateway with Cognito and Auth0 for access control. API Talent is an AWS Advanced Consulting Partner that was born in the cloud, much like the Serverless architectures we implement. We build event-driven microservices, RESTful APIs, modern data integration platforms, and applications using Serverless components. Brillio enables clients to take advantage of API Gateway to provide custom RESTful endpoints acting as unified front end for Lambda services by encapsulating details and optimizing communication between clients and application. Content delivery network (CDN) integrates with other cloud services to provide an easy way to delivery content using a global network of edge locations for developers and businesses. It gives an elastic and fast advantage including lower latency of the high availability. Cloudreach has delivered a number of projects to customers in North America and Europe, many of these projects involved Serverless Architectures where Lambda and API Gateway played a key part. Singlepoint is an Irish consulting company. We focus on working closely with our customers and delivering the best solution. We provide the following services: Consulting, DevOps, Systems Integrations, Microservices, Infrastructure. We create cloud native applications and APIs that allow you to serve your customers faster, better and more cost-efficiently. We are experts in the latest serverless technologies that provide out-of-the box production grade scalability and durability. Our team of cloud architects will help you with technical implementation and our change management experts will help you with adoption of new technologies. Lift-and-shift migration to AWS, update of system architecture to be able to use most of the advantages of cloud. Change management and adoption of newly implemented technologies with added expertise in API Gateway, Kuberntes and serverless technologies. API Gateway is a vital tool for running serverless architectures. tecRacer has delivered many solutions combining the API Gateway with Lambda and the AWS IoT service, from delivering business intelligence applications to real-time monitoring platforms. Technical skills are not enough if they son't support our customers' business. Or team of trained and certified specialists has one goal: To be your partner in the AWS Cloud! As an AWS Consulting Partner in the AWS Managed Services Program, we are able to offer our customers best practices for managed services in the AWS Cloud. Interested in becoming an Amazon API Gateway Partner? Amazon API Gateway participates in the AWS Service Delivery Program. The AWS Service Delivery Program recognizes APN Partners with a verified track record of delivering specific AWS services and workloads to AWS customers, including Amazon API Gateway. To apply to become an Amazon API Gateway partner, apply online through the APN Portal today.